As we have already mentioned that 2019 will be the year of innovation technology emerged in smartphones. The latest trend happening this year is the pop-up selfie cameras. Many big smartphone manufacturers are working on smartphones with pop up camera set up. According to previous rumors, OPPO R19 and Vivo X25 will come with pop-up cameras. However, one more Vivo smartphone, V15 Pro, is also in the list of smartphones with pop-up cameras. Previously the company has revealed that it will come with 32MP selfie pop-up camera. 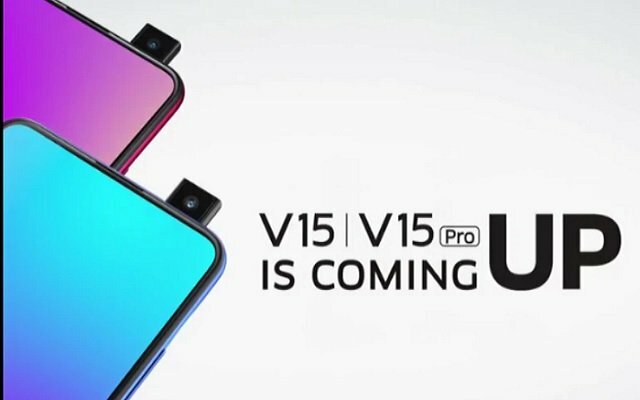 However, Amazon now revealed that Vivo V15 Pro will also have a 48MP main camera. The above specification reveals that it is a very good featured device with a cost-effective price. So let’s wait for the official announcement of features and Price. Vivo is not the only company who is launching a device with a pop-up camera, OPPO had launched the same device before and now Samsung is also in rumors for manufacturing pop up camera phone. Samsung Galaxy A90 to be Firm’s First Phone with a pop-up Selfie Camera.